This week’s pairing incorporates cold brew coffee. Trader Joe’s Cold Brew Coffee Concentrate should be available in store or online. Cold brewing coffee involves letting grounds soak in cold water for a minimum of 12 hours. Because the grounds aren’t being heated they extract a little differently, and tend to be less bitter in flavor. You can do it with any coffee you have at home if you have a way to strain it and are willing to wait. The Trader Joe’s brand is great if you want your fix immediately though. This week’s pairing should feel bright. Both of our younger heroes are facing crises about the reality of being in their situations. What it means to be a full-time hero and the greater implications of who they are and what they’re doing come into question. Both books will try to push for a sense of balance and closure amid the bad, which pairs well with the smooth brightness of this week’s dark roast coffee. Ms. Marvel #11, written by G. Willow Wilson and illustrated by Adrian Alphona follows Ms. Marvel’s showdown with The Inventor while he attempts to destroy Jersey City. 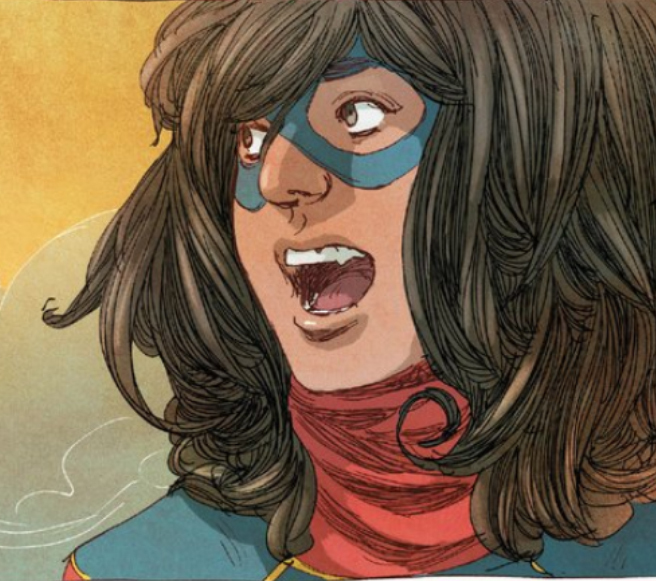 Worries over what it really means to be a superhero are sort of a staple of the genre, and Kamala Kahn’s inner monologue about balancing her two lives brings great insight into the issue. The weight of threats to her secret identity, friends and family, and livelihood are examined in a way that feels very real, but her overall outlook should leave you feeling more optimistic. Batman and Robin #38, written by Peter J. Tomasi and illustrated by Mick Gray and Patrick Gleason examines the dynamic duo now that Robin has superpowers. 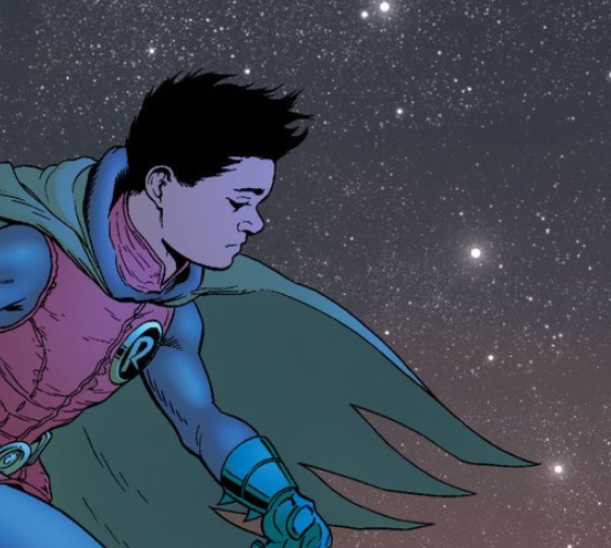 The fact that Damian Wayne is back after being killed about two years ago in Batman, Incorporated #8 opens up a whole existential can of worms on its own. However, adding superpowers to the mix creates a more tumultuous dynamic between Batman and Robin that’s addressed really well. The book is less light than Ms. Marvel, and is more set on Damian coming to terms with his newfound abilities and what his mother had done to him and others. However, like Ms. Marvel, the work as a whole is more positive than not. Together, both works face the reality of life — and death — as a superhero while Kamala and Damian try to create a sense of balance for themselves. The bright, sweet flavor of this week’s coffee should help bring the feelings of hopefulness overarching in both works together.